Plaid from old sweaters. ~ DIY Tutorial Ideas! Home » Needlework » Plaid from old sweaters. 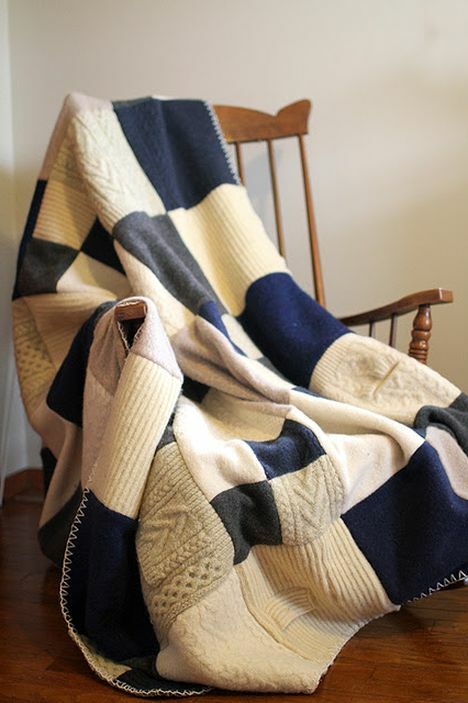 The plaid measures 150 by 180 cm took 10 sweaters. Most of them bought at the Flea Market. First step. 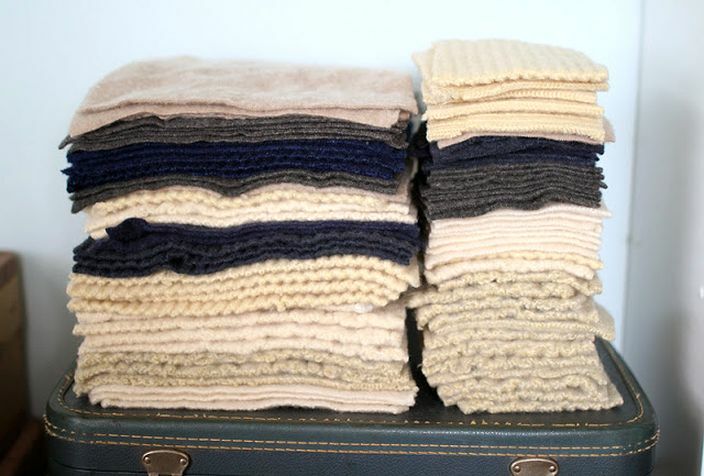 Decide on the scale (I have a creamy-gray warm earth tones). The second step. 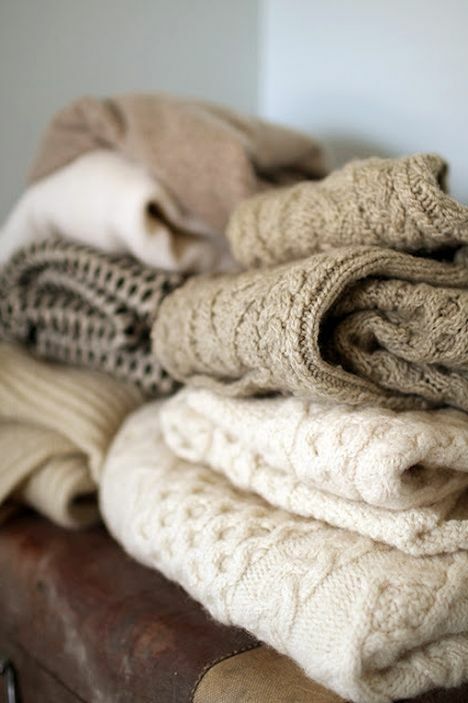 Strip all the sweaters and cut off all the labels, zippers, buttons and so on. 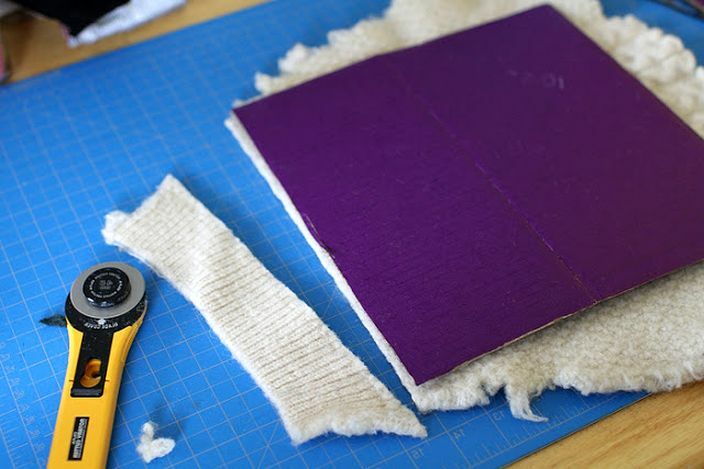 The third step is felting. We'll play in the washing machine. Note that the ability to stall is only available in natural wool. 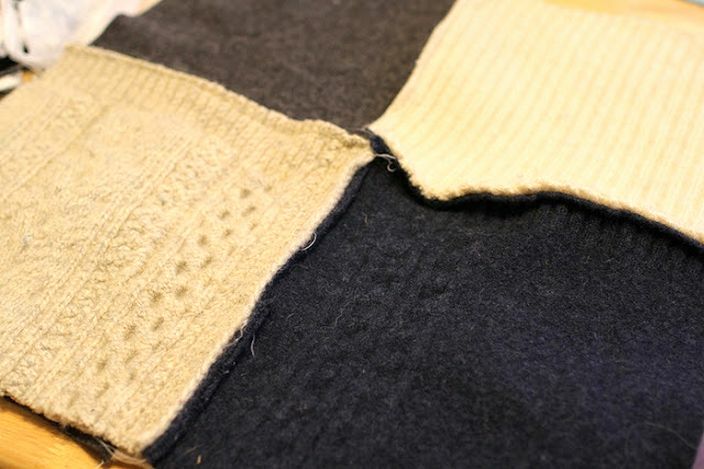 If you have "raw materials" with artificial additives, it either does not melt at all, or not so much as products entirely made of natural wool. 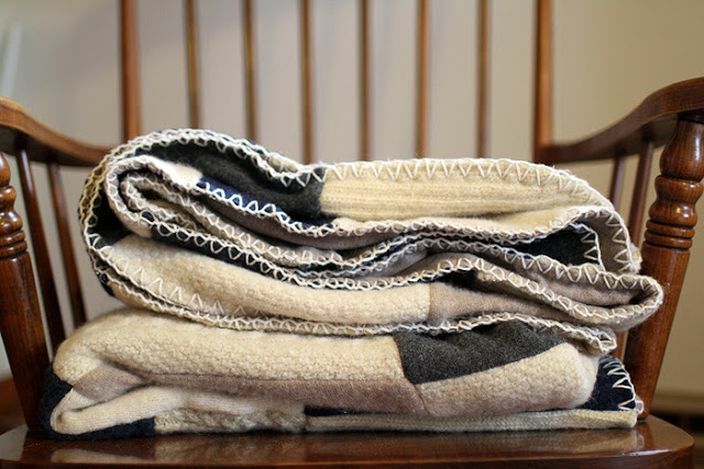 For felting, fold your workpieces into a bag for gentle washing or simply in an old pillowcase (if this is not done, the woolens can clog the entire drain of the washing machine), add bedding or a pair of jeans, and put the washing machine on a long mode with switching from cold to hot water and with the necessary rotation of the drum and spinning. That's how the size sweater looked like 54 after washing with the rotation of the drum. He sat down and fell. For someone it may be a nuisance, but for us just right! The next step is to cut the details. 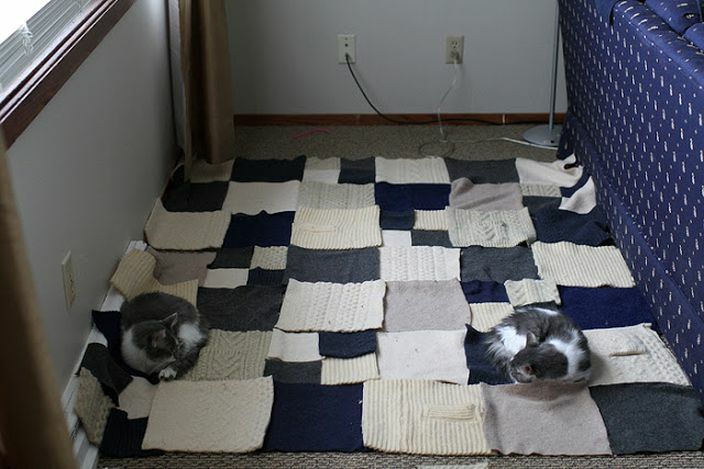 Prepare two templates: for a large square - 26, 5 cm side, and for a small square (four such squares will be stitched into one large) - the side is 14 cm. We lay out our details by color and size, as in the picture. Now we need to find a free flat place, most likely - on the floor - and lay out the details on it so that the image of the future rug becomes. We go further - we sew details of a rug on the machine. 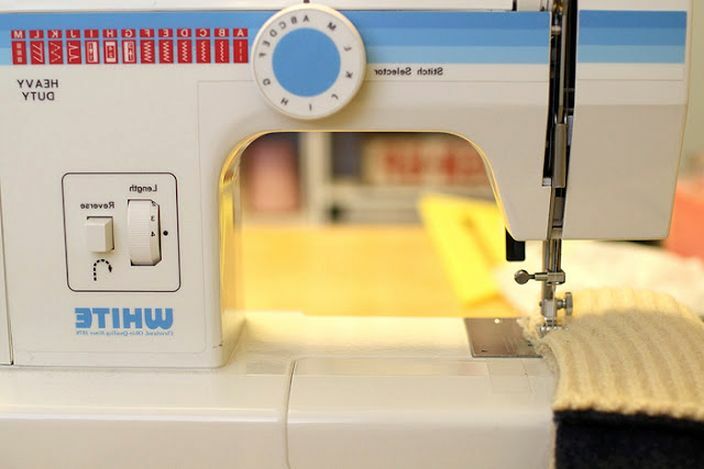 We sew first the smallest details, then large ones among themselves in rows. Pins are needed only when we sew large parts and rows. This is how the inside of the rug looks like. The next step is to choose a suitable lining. I have a pure-wool Scottish fabric. 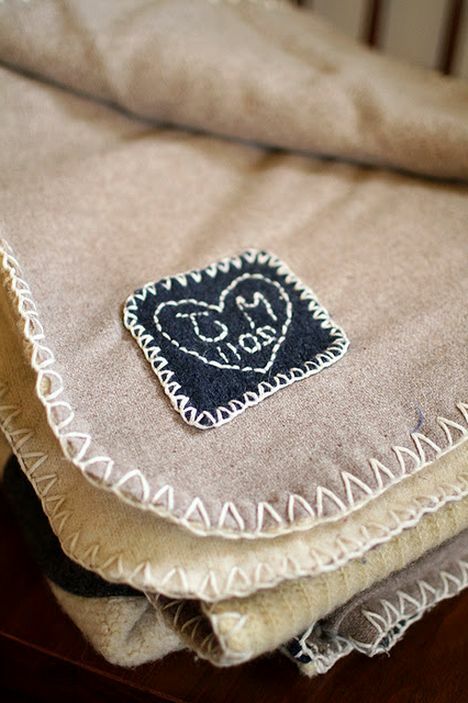 If we do not have this for some reason, maybe we can put a fleece on the lining, and it's soft and stretches. 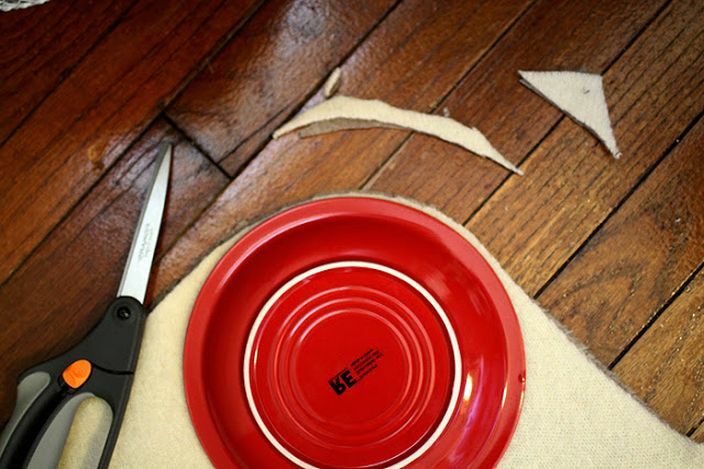 The edges of the rug are rounded, as in the illustration. 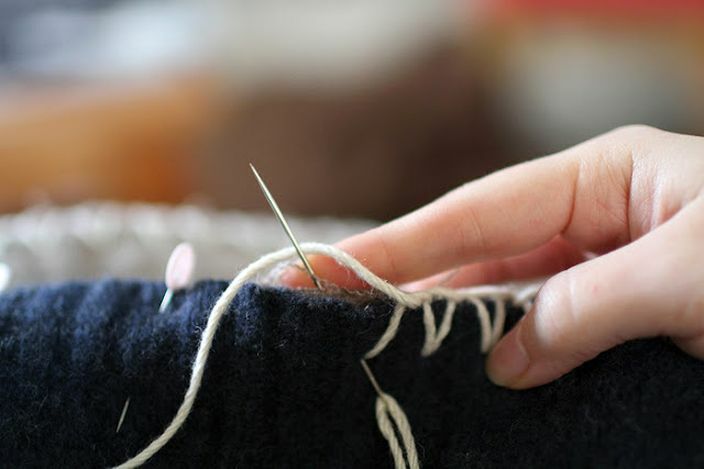 Last stage: take a large thick needle, a skein of yarn and sew together the top and lining with a decorative seam. 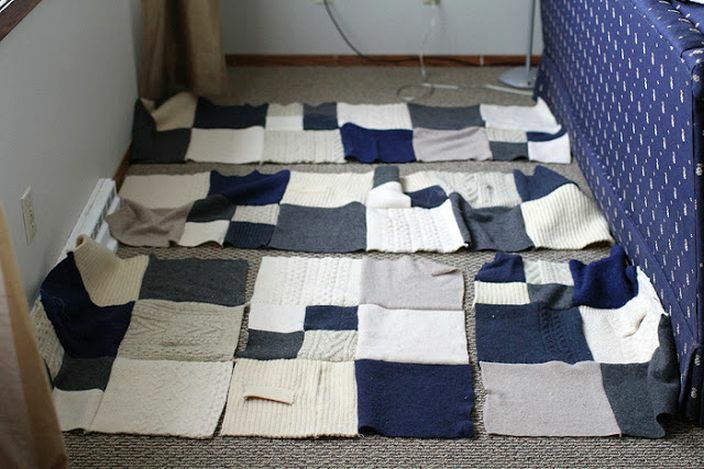 I would still fix it in the corners of the squares, just sewing several times with the same yarn. 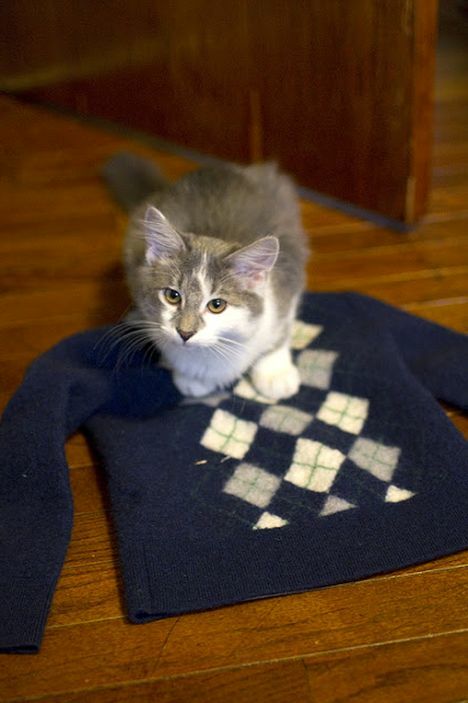 It turned out a blanket, cozy and warm even in the photo. On the wrong side you can embroider your own specials and the year of the creation of the rug - for sure, it will last for more than a year! Юлечка, удачи тебе! это ты точно подметила - всему свое время.